If you’re planning to head off the beaten track, alpine areas present special safety issues, particularly in winter. It’s important to be careful, knowledgeable and take the following safety precautions when visiting these areas. Police and NSW National Parks staff are involved in numerous search and rescue operations in Kosciuszko National Park every year. Many of these result from visitors underestimating the conditions and sometimes overestimating their own capabilities. Safety is your responsibility, so with preparation, and consideration of the following advice, you’ll have an enjoyable and safe journey to the Australian Alps. Travel with at least 3 people in your group – if there's an emergency one of you can can go for help, while the other stays with the injured or ill person. At least 1 person in your group should be experienced and able to guide and help others. Telling your friends and family, also known as letting people know your trip intentions, is crucial when heading into the Australian alpine environment. Give details about your planned trip to close relatives, friends or the NSW Police. Tell them the number of people in your group, your planned route, experience level, equipment and planned return date. Advise when you are back safely, or if you are extending your stay. If you need help, call early. Delaying your call, particularly after nightfall, can seriously restrict rescue efforts. 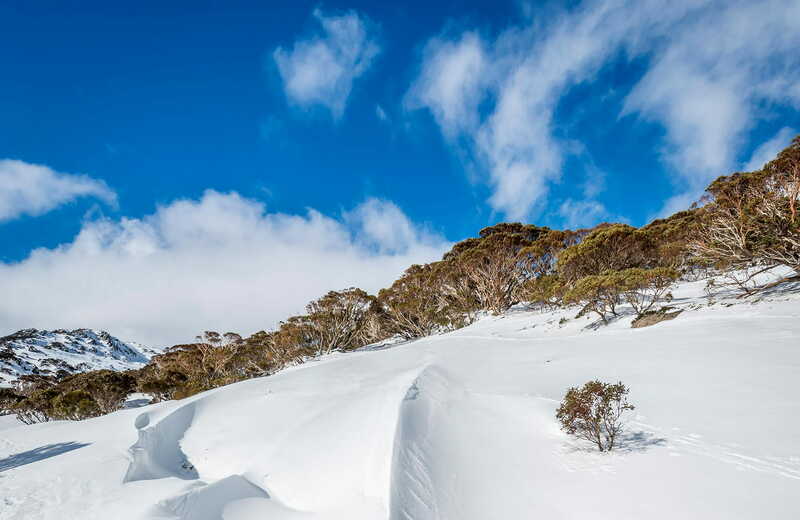 Remember that conditions in alpine areas can be changeable and extreme, particularly over winter. Wear layers of warm, waterproof clothing and take plenty of food as it provides heat in the body. Protect your skin from sunburn by using sunscreen and wearing sunglasses, protective clothing and a hat. UV is high and new snow reflects a lot of sunlight, even on overcast days.